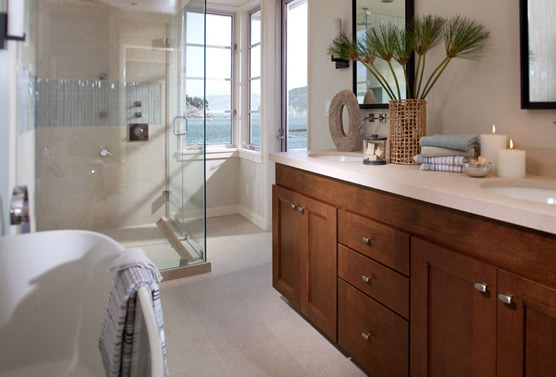 Kitchen or bath remodeling projects may range from simple upgrades to sophisticated transformations. And while the process is exciting it can easily become overwhelming; even stressful. 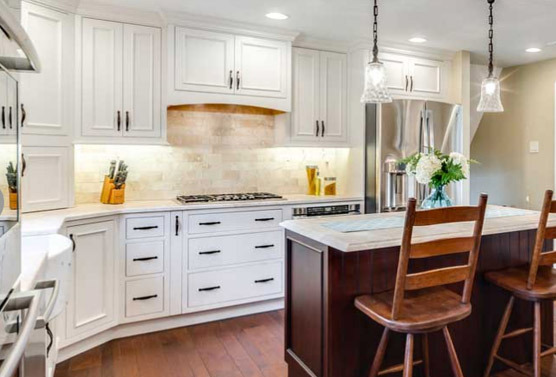 The myriad of product choices and design options make kitchen and bath remodeling projects more complicated than other remodeling projects. Precisely why smart homeowners, even DIYers, opt to work with a professional kitchen and bath designer. 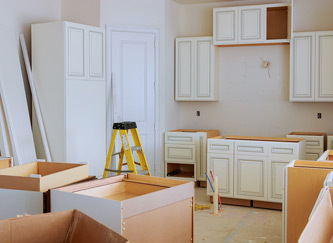 Preferably a reputable, established firm like Distinctive Cabinetry located in the San Francisco East Bay. The design process really begins with a scheduled appointment for a showroom consultation. During this visit you’ll meet with a certified kitchen & bath designer. We ask clients to bring in a list of their project desires and needs. 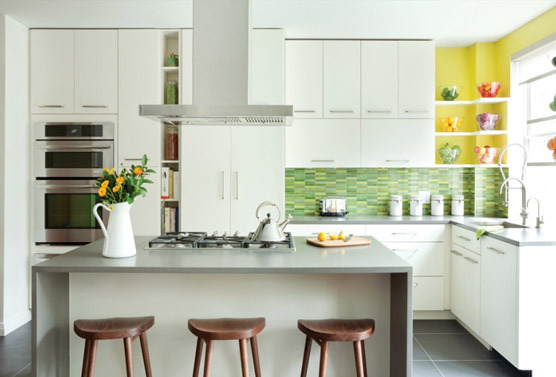 It is also helpful at this stage to show photos of other kitchen and bath designs you like from print or online resources such as Houzz. Our kitchen and bath designer will guide you through our Walnut Creek Showroom to review product displays and learn about your likes and dislikes. 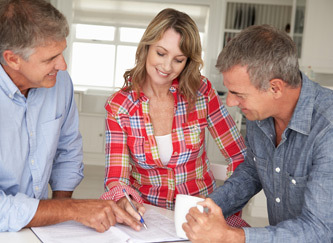 We’ll discuss your potential budget, educate you on product offerings and explain how the entire process will work. Our kitchen & bath designer will meet with you in your home to evaluate the space, take detailed measurements, and discuss functional and aesthetic goals. Any special needs or considerations will be reviewed in detail during our home visit. Based on the showroom consultation and home visit, the designer will develop a detailed floor plan, along with cost estimates. Project estimates will be based on your design style preferences, your “wish list,” and your budget. One of our in-house Associate Designer’s will create a set of interpretive drawings (elevations, color-rendered 3-D perspectives, etc.). A combination of CAD or hand drawings may be prepared to further illustrate and clarify the spaces. 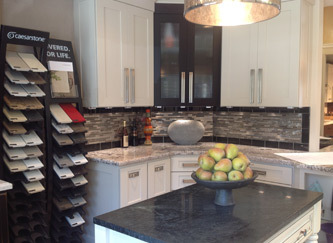 Upon this visit to our showroom, you will view your kitchen or bathroom design plans and project estimates. 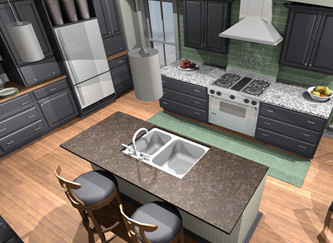 Working side by side with our designer you will select products including: cabinets, countertops, appliances, and hardware. If necessary, changes will be made and the final design with investment amount presented at a follow-up meeting. 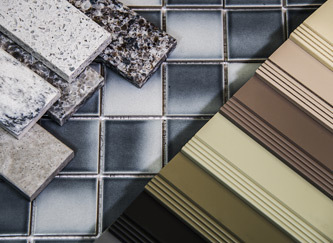 Your designer will also facilitate visits to our trade partners for selection of related materials, such as tile, flooring, granite, lighting, plumbing fixtures, etc. Once the plans have been approved and all product and finishes are selected, our production manager takes responsibility for your project. The materials are ordered and installers are scheduled. This includes any subcontractors such as plumbers, electricians or tile contractors that will be needed for the kitchen or bath design. We coordinate with you in advance on all deliveries and installation dates. 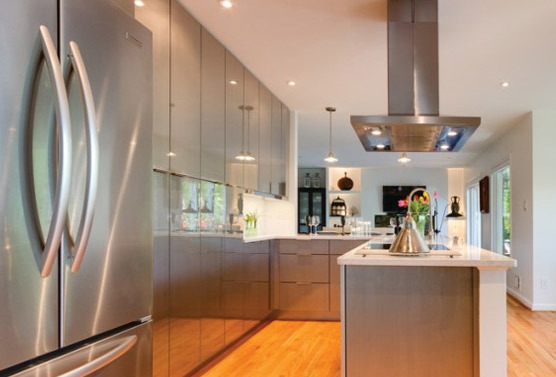 Distinctive Cabinetry employs expert craftsmen who are the licensed and bonded. 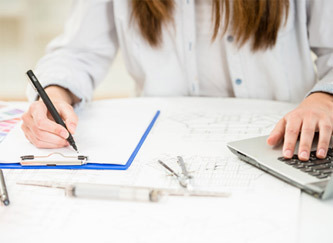 To ensure the final result meets our high design standards and your satisfaction, our designer will conduct a final inspection of your kitchen or bath remodel. Once completed you will receive a project book which contains all of your warranties, How-To-Manuals, and your final design plans and product selections. READ WHAT OUR CLIENTS THINK!